Pumpkin Spice Latte. 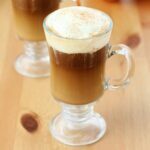 All you need to make this classic fall drink is milk, pumpkin puree, sugar, vanilla extract, pumpkin pie spice, and espresso. 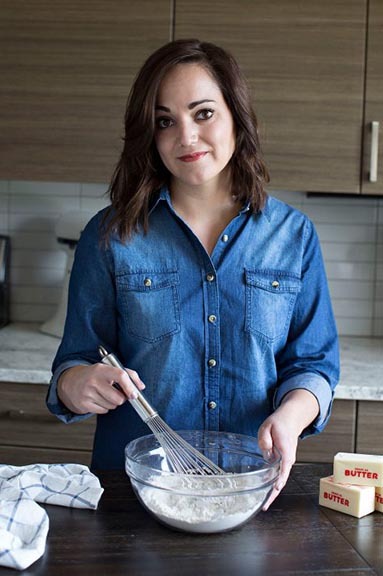 This recipe is SO easy. Which will make you wonder why you have been spending so much $$ at Starbucks. How easy? Easy enough that this coffee novice rocked the drink for her very picky husband and he loved it. All you need is a blender, quality ingredients, and 10 minutes to whip up your very own, Starbucks worthy. Do you need to use espresso for a homemade latte? This is a great question. Do you have to use espresso for a latte at home? Technically, lattes are made with espresso so it seems to reason that the answer would be yes. However, I dread dragging out my espresso maker. It has a beautiful spot on the top shelf where it stays unless I can talk my husband into pulling it out and whipping up a shot or two. Which means 99% of the time I actually make my lattes with strong brewed coffee. They taste the just as good and, unless you are a coffee expert, you won’t notice much of a difference. What are the ingredients in a pumpkin spice latte? A few notes, make sure you use pure pumpkin and not pumpkin pie mix. 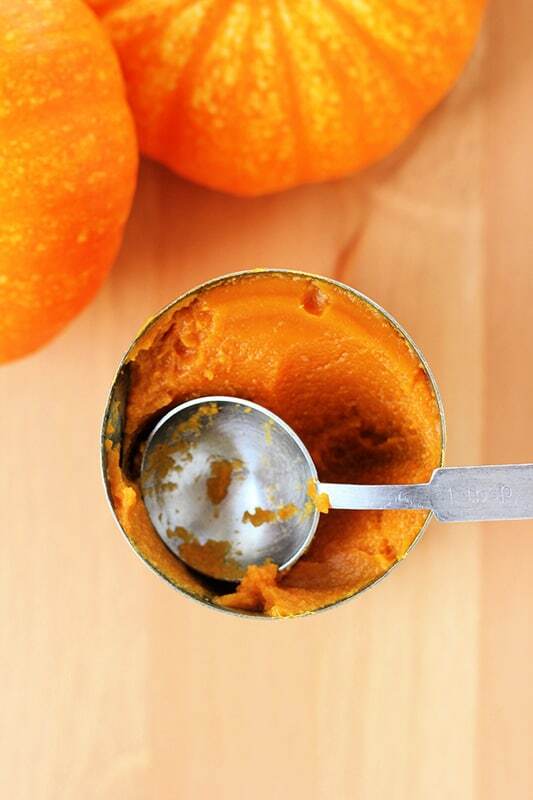 Pumpkin puree is just pumpkin. Nothing else. The pie mix has added spices that we want to avoid. Same goes for the vanilla extract and coffee. Be sure to use pure vanilla and quality coffee. The first thing you will need to do is pick your coffee. I decided to stick with a strong brewed dark coffee but an espresso would be just as good. Another great tip is to add or subtract the amount of sugar used. I like my coffee on the sweeter side so the 2 tablespoons called for worked perfectly. If you want to get super fancy you can top your cup with some whipped cream and a little cinnamon for that coffee house feel. Pumpkin Spice Latte. 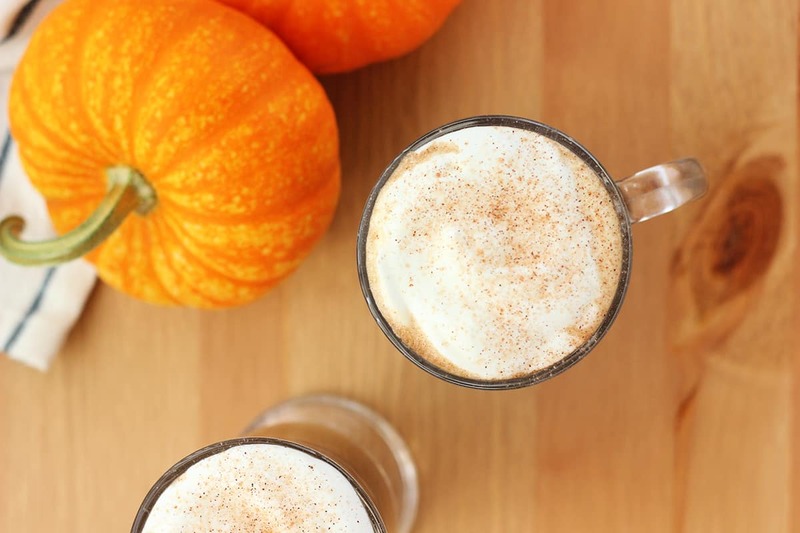 Play barista at home and whip up this classic fall drink! 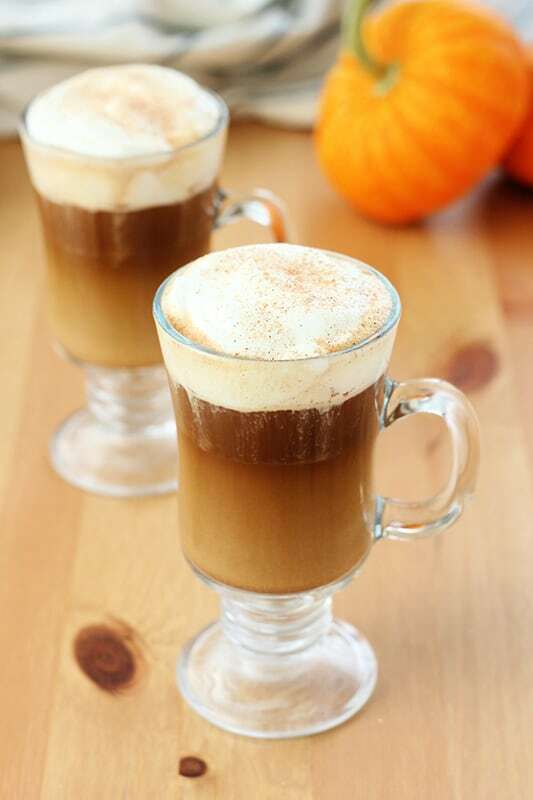 All you need is milk, pumpkin puree, sugar, vanilla extract, pumpkin pie spice, and espresso. Combine the milk, sugar, and puree in a small sauce pan. Heat to just a boil making sure to whisk consistently. Remove from the heat and pour into a blender. Add vanilla and pumpkin pie spice. Pulse for 30-40 seconds or until the mixture has started to froth. Pour your coffee into a cup until it's about half full . Fill the remaining portion with your pumpkin mixture!